Our pediatric dentists at Kidsmile have over 25 years of experience taking care of children’s teeth and providing healthy smiles. We are educating today for a cavity-free tomorrow! Dr. Jason Barb is a 2002 graduate from The Ohio State University College of Dentistry. After graduating, Dr. Barb completed a two-year pediatric dental residency from the University of Missouri-Kansas City, in conjunction with Children's Mercy Hospital in Kansas City, Missouri. In October 2010, Dr. Barb became the proud owner of Kidsmile Inc.
Dr. Barb enjoys being able to practice dentistry in the place where he himself grew up and calls home. In his free time, he enjoys playing golf and spending time with his wife, Michelle, and their 3 children. 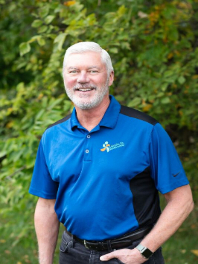 Dr. Venzel, the founder of Kidsmile Inc., has been practicing dentistry since 1985. 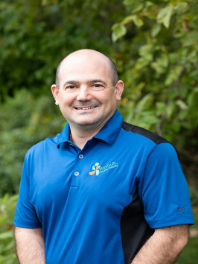 Dr. Venzel earned his dental degree from the University of Louisville, School of Dentistry and further completed a two-year pediatric dental residency at Kosair Children's Hospital in Louisville. Dr. Venzel is married and the father of 3. He is an avid Cleveland Browns, Indians and Cavaliers fan. Dr. Bernard joined the practice in July 2018. He graduated from Case Western Reserve University, School of Dental Medicine in 2013. He began practicing as a General Dentist in Colorado, but decided to return to his hometown and specialize in pediatric dentistry. Dr. Bernard completed his pediatric residency at Rainbow Babies and Children’s Hospital in conjunction with Case Western Reserve University. 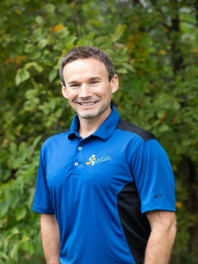 Dr. Bernard loves running, traveling, wood working and spending time with his wife and son.